Panoramic View Of The Cap Morgiou On The Mediterranean Shore Near Marseille, France, With Motorboats Cruising And Sailboats Mooring In The Blue Waters Of The Calanque De Morgiou On A Sunny Day. Фотография, картинки, изображения и сток-фотография без роялти. Image 115774175. 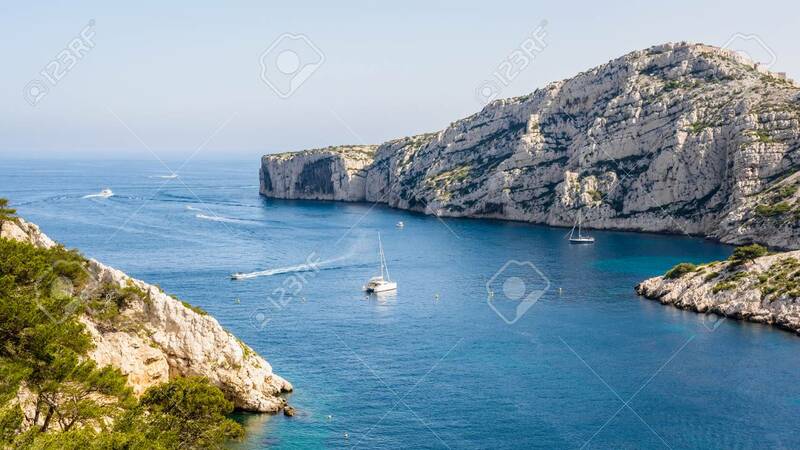 Фото со стока - Panoramic view of the cap Morgiou on the mediterranean shore near Marseille, France, with motorboats cruising and sailboats mooring in the blue waters of the calanque de Morgiou on a sunny day. Panoramic view of the cap Morgiou on the mediterranean shore near Marseille, France, with motorboats cruising and sailboats mooring in the blue waters of the calanque de Morgiou on a sunny day.